One way of achieving security on the Internet and accessing blocked websites is to register for virtual private networking (VPN) services. 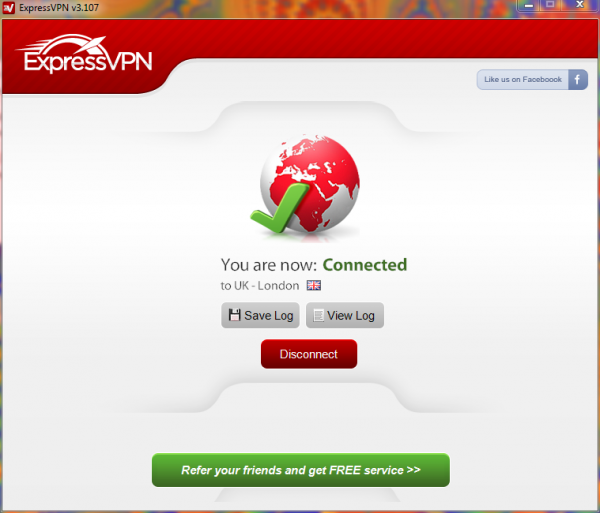 ExpressVPN is a popular VPN provider, giving users access to servers based in more than 94 countries. VPNs work by hiding a customer’s IP address inside an encrypted Internet tunnel and allocating a different IP address which is generated by the chosen server. Customers based in countries where Internet censorship is commonplace will find they have the ability to gain access to blocked and censored websites when they are logged into their VPN service. ExpressVPN has servers in the following countries: Argentina, Bulgaria, Belgium, Slovakia, Malta, South Korea, Algeria, Poland, Slovenia, New Zealand, Cyprus, Moldova, Colombia, Estonia, Austria, Switzerland, Sweden, Spain, Italy, USA, Azerbaijan, Canada, Hungary, Serbia, Peru, Taiwan, Kazakhstan, Thailand, South Africa, Panama, Czech Republic, Costa Rica, India, Venezuela, Mexico, Singapore, France, Turkey, Ecuador, Malaysia, Georgia, Liechtenstein, Greece, Iceland, Indonesia, Finland, Romania, Japan, Latvia, Israel, Australia, Chile, Albania, Egypt, Portugal, Brazil, Luxembourg, Russia, Vietnam, Norway, Europe, Mongolia, Ireland, Hong Kong, Guatemala, Uruguay, Bahamas, Germany, , Kyrgyzstan, Ukraine, Philippines, UK, Uzbekistan, Bosnia Herzegovina, Netherlands, Isle of Man, Lithuania, Croatia, Denmark . ExpressVPN gives customers unlimited monthly bandwidth and fast transmission speeds. The company provides apps to configure the VPN service for a number of Internet-enabled devices including computers running Windows or Macs, Android or iOS. 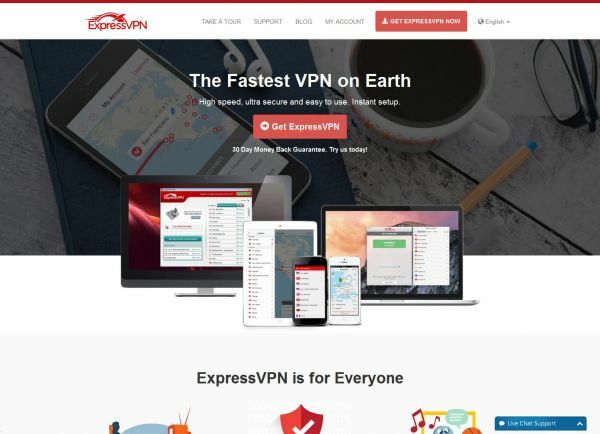 Once customers register for a payment plan with ExpressVPN it’s an easy matter to download the software from the company’s website or even just install their Chrome or Firefox add-on to your browser. Payment plans can be taken out monthly in advance, or discounted rates are available for plans taken over six months or a year. It’s possible to make payment via a number of methods including Paypal, Bitcoin, credit card or locally available payment options, such as China Unionpay or Alipay. Where customers experience problems with the ExpressVPN service, customer support is available via round the clock live chat, a ticketing system or email and the company guarantee a response within 24 hours. They also provide comprehensive answers to a number of common problems on the website. Customers are entitled to a 30-day money back guarantee if problems cannot be resolved. It’s possible to connect to the VPN service via two devices simultaneously, a mobile and computer. When users log into the Internet from WiFi hotspots on a regular basis the VPN provides assurance of safety from Internet eavesdroppers. 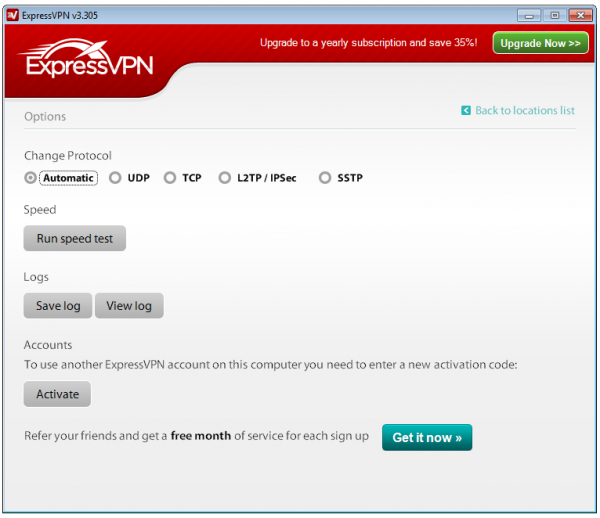 ExpressVPN has a robust security policy and states it does not log any consumer activities. From this perspective there is no chance of customer browsing activities being passed on to government agencies or other snoopers. You can read more about that in this ExpressVPN Test. The ability to register for the service with Bitcoin does mean that customers can be totally anonymous when online. The ExpressVPN website is easy to navigate and all information clearly presented, giving this company an edge over some of its competitors. 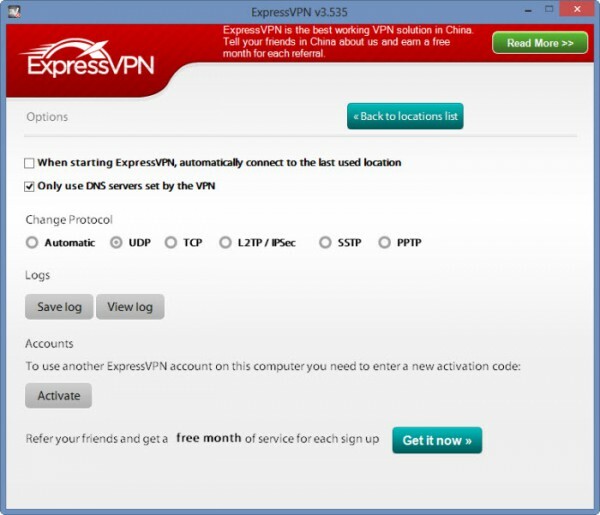 ExpressVPN is an British Virgin Islands based company so does NOT need to follow U.S. laws on data retention, meaning it will NOT og customer originating IP address and time spent online. Trial Details30 Days Money Back - Great Service - Try it now!